Because we are both an Egg Donor Program and a fertility center, we know exactly what qualities are important in choosing an egg donor. With a large selection of donors, you are likely to find a good physical match. But at InVia Fertility Specialists, we go far beyond this, getting to the heart of a donor’s personality and giving you the tools necessary to choose a donor based on the characteristics that are important to you. Most importantly, all of our donors are medically screened. This means when choosing an egg donor from InVia Fertility, you can be confident that you are getting the best possible chance of achieving a pregnancy. Already have a password? Click here to log in. 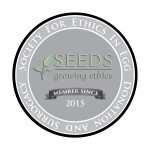 Our team of experts have written extensively about egg donation, the science behind it, choosing your donor, and working with your fertility clinic in many articles and posts. The posts below answer some of our most frequently-asked questions. But if you have any more questions, please feel free to contact us! Does egg donor age matter? YES! !